Whilst earwax is necessary to protect our ears, excessive buildup can lead to blocked ears and impaired hearing. If this has happened to you there are a range of products that are designed specifically for earwax removal. You can use sprays or drops to soften and disperse the wax, or the more adventurous might want to try ear candles. Whatever you decide, take care and be sure to follow the instructions closely. 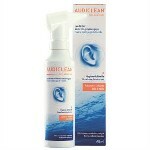 Audiclean cleans earwax and reaches areas cotton buds cannot reach safely. Audiclean Ear Wax Removal aids in the removal of wax from ears. 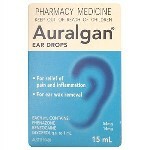 For the relief of pain and inflammation, and the removal of ear wax. 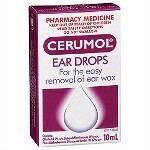 Cerumol Ear Drops are used for the easy removal of ear wax. Earigate Ear Cleansing System helps to prevent the build up of ear wax. 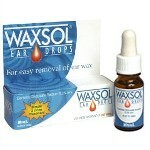 Waxsol Ear Drops act by penetrating and softening ear wax.